1. Make sure you are on the Responses Tab inside of Scout, on a phone or tablet. 2. Press the + button in the lower right hand corner. 3. Choose the Form from the Forms dropdown. 4. 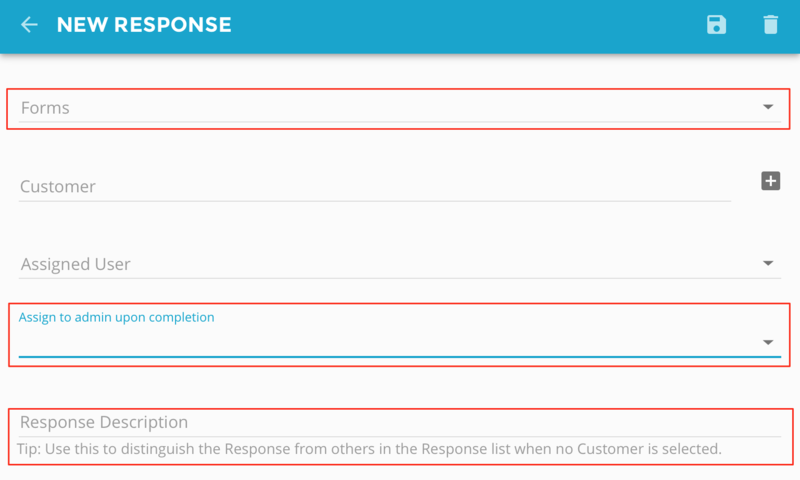 Then choose the "Admin" who will read over the response, by tapping on the Assign to admin upon completion dropdown. 5. Choose a Response Description, by typing in some text along the lines of the customer or the job description. 6. Then finally press the Save button in order to save the Form onto your Device. 7. 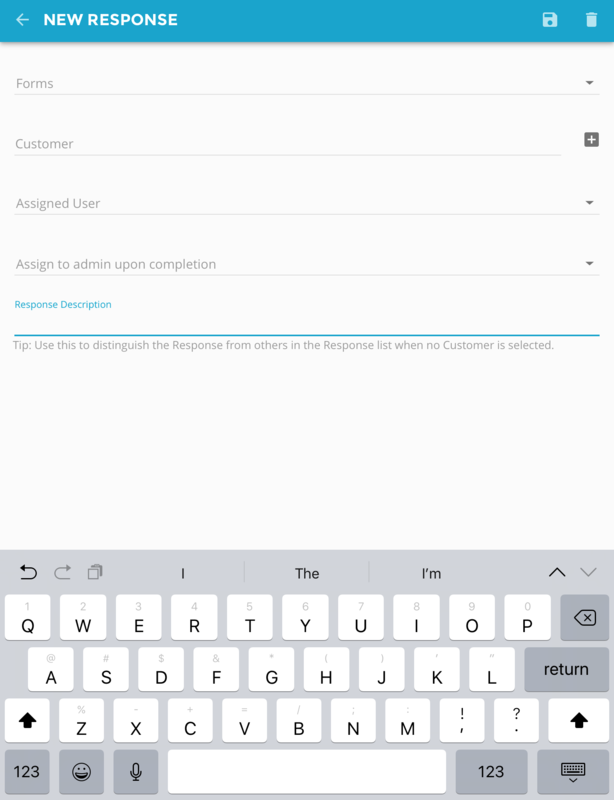 You can now fill out this Form by tapping anywhere on the text displayed for this Form Response. Also, if you want to re-assign the Admin who will receive the result, you can tap on the badge on the far right.